Designhill provides a marketplace for creating graphic design products. It allows clients to create designs, including graphics, logo design, brochure design, book cover design, merchandise design, packaging design, web design, and more. 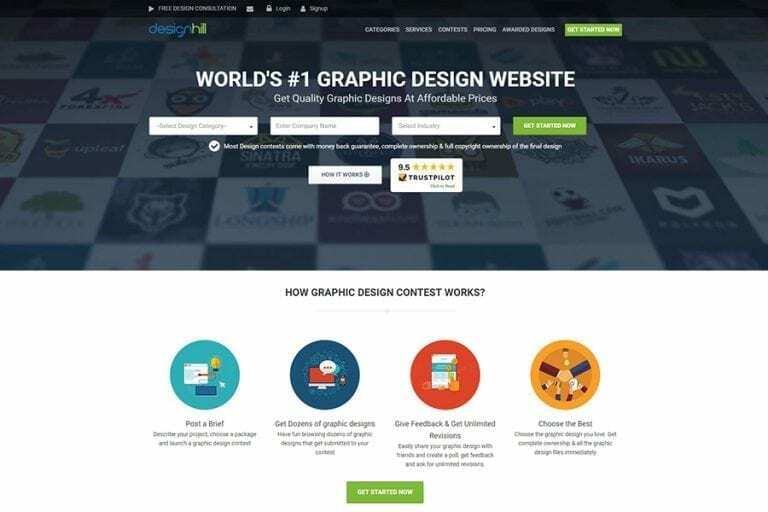 The crowdsourcing platform offers a logo maker, logo templates, the ability to hire freelance graphic designers, and one-to-one projects.